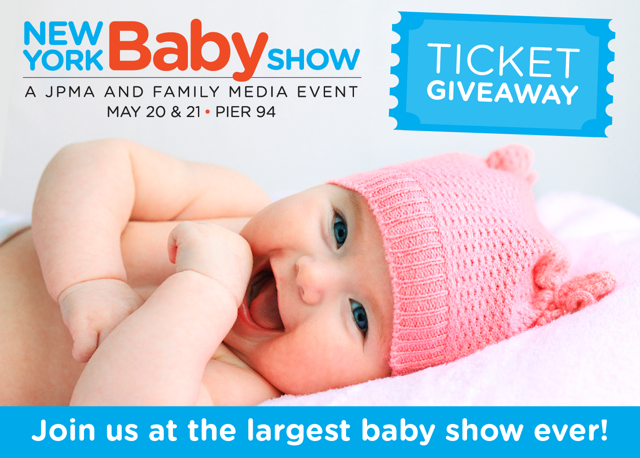 If you or someone you know is expecting or a new parent be sure to check out the 2017 New York Baby Show on May 20th and 21st. It will take place at Pier 94 for the 7th year, and will be the largest show of it's kind in the country. No other event provides a better experience for thousands of expectant and new families from New York and neighboring counties. Great for all seeking a family-friendly jamboree of top brands, great speakers and seminars, big giveaways, and lots of learning, support, bonding, and fun as you make your way into parenthood. I have enjoyed going for the past few years and have gained so much as a parent. Just check out my top picks from last year here, there are so many brands and products for our babies you'll learn about there. Your chance for free tickets for you and your family, a value of $30 can be bought through this link. Subject to availability, only available for first 10 purchases. If we've run out of free tickets and the above link doesn't work for you, you can still get 50% off your purchase by purchasing through this link, they will both take you to Eventbrite and the special code will be applied automatically.